Google has been making improvements to some of the main parts of Google Play. Earlier this week the music app saw a sleeker look, now you can add Google Play Newsstand to the apps getting a makeover. Newsstand allowed for Play users to get all kinds magazines and news from different news and interest sites. In Google updating of the service, it has focused on the cosmetic area of Newsstand, but also a couple of the service’s main features. 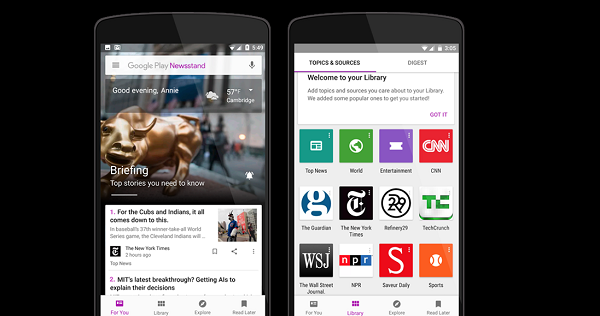 In the same way the Google Now approach was used for Play Music to improve the service’s ability to present personalized playlists for different days and times of the day, with Newsstand users will get major national and global headlines, topics of interest, and local news. 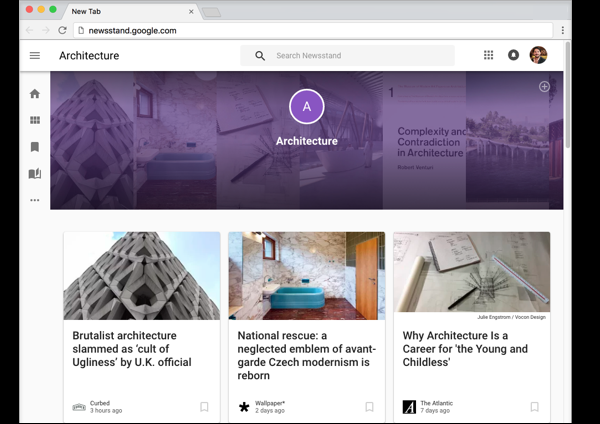 User feedback will assist in building personalized news in the future and your search history throughout Google and Newsstand also improves the experience. As you’ve always been able to, you can select which sites you’d prefer to see content from in addition to the recommended offerings. Cosmetically, Newsstand will use a variety of video and images to catch your attention and present the importance of a news item. This element of the service’s makeover is pretty expected and is something would see on an app like Feedly. The difference between the two is that Newsstand offers a wider display of the two on the mobile app and web—especially web—as opposed to just a list or cards format. While Google’s statement on the upgrade says that things will be rolled out in the coming days, everything is pretty much available on the web version of Newsstand and on the iOS and Android apps.